On 1 October 2016 - when South Shields were a Northern League, Division One team - the two sides met at Mariners Park, drawing 2-2. RCA had a 2-0 lead against 10-man Shields, with only 20 minutes of the match remaining, thanks to goals from Greg Swansbury and a terrific Ross McNab free-kick, however, Shields came storming back with goals from Gavin Cogdon and a sublime Julio Arca strike to the level the match. In fact Shields were pressing so hard it was a relief in the end for RCA to come away with a point! The return fixture - at Meadow Park on Thursday, 30 March 2017 - was a similar match in many ways. RCA again took the lead through a Ross Preston header and lead at the break after Shields were again reduced to ten men. During the interval, however, Shields brought on Arca, who scored with a super free-kick, and Gavin Cogdon grabbed the winner, despite RCA putting Shields under intense pressure in the final 20 minutes. The most recent encounter between the sides was played last season at Mariners Park in a Durham FA Challenge Cup, Second Round tie on 19 December 2017. Shields won an entertaining match, 3-2, courtesy of an Andrew Stephenson hat-trick. RCA were in the game right until the final whistle after goals from Colin Larkin and Luke Page, but couldn't find an equaliser. 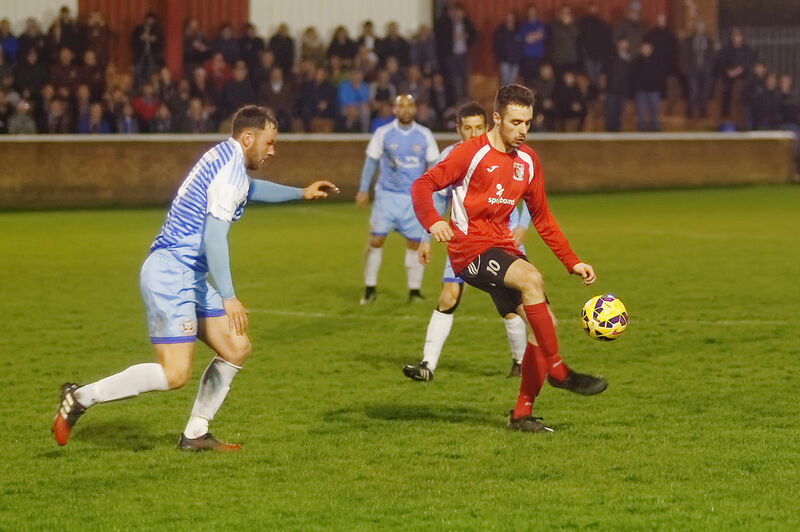 Both sides had good wins in their respective leagues on Saturday: RCA beat West Auckland Town, 2-0, thanks to a first half own goal and a super second half strike from Mark Davison. Shields, meanwhile, went top of the Northern Premier League on Saturday, after a dramatic 1-0 stoppage time win in a top-of-the-table clash with Farsley Celtic, with Dillon Morse scoring the all-important goal in front of a remarkable crowd of 2,013. Tuesday's match will almost feel like a home game for Shields, compared to the distances they now travel for away matches in the league! Admission to the match is priced at £6 for adults, £4 for concessions, and, as always at RCA, children accompanied by an adult are admitted free. A cracking match is in prospect, so please come along and support the lads!